Despite the recent mini-heatwave there are definite hints of autumn in the air with the nights drawing in and one or two lovely morning mists – lovely for the landscape photographer at least, not necessarily the commuter! 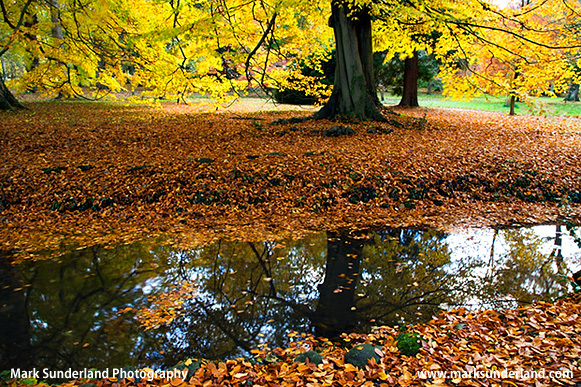 Autumn has to be my favourite time for landscape photography and the period of optimum autumn colour never seems to last quite long enough to visit all the places I’d like to photograph, so now is probably the time to have a think about which woodlands to target. 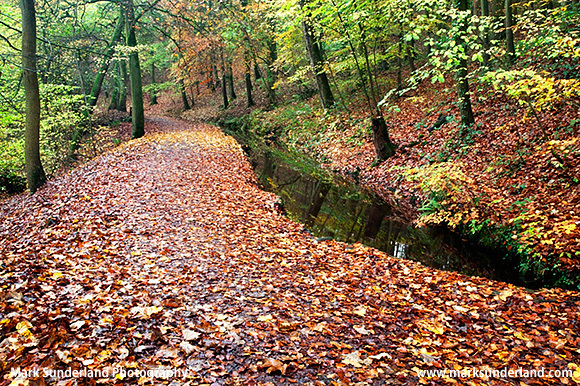 I’m lucky to have Nidd Gorge Woods on my doorstep, one of quite a few Woodland Trust woodlands here in Yorkshire. It’s great to have somewhere close by that you can get to know well from year to year so as the colours change you can head out when the conditions are best and go straight to the right spot. For me, that’s generally on a still overcast day. The resulting diffused light works best when photographing autumn colour and low wind means I can use the lengthy shutter speeds which are often necessary under the canopy of leaves. 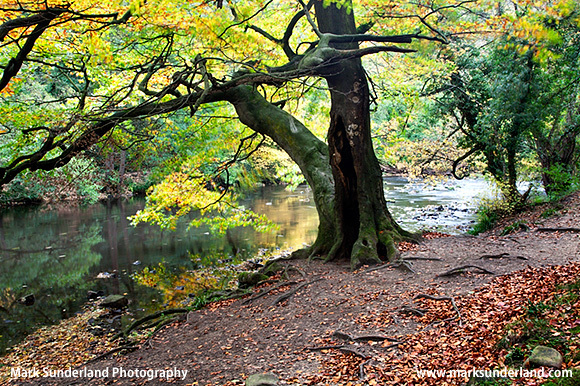 Hardcastle Crags (National Trust) near Hebden Bridge is always worth an autumn visit. There are plenty of trails alongside Hebden Water, which can be used for some moving water interest beneath the trees, but there are also large, still mill ponds near the old Gibson Mill which provide opportunities for reflections and floating leaves images. 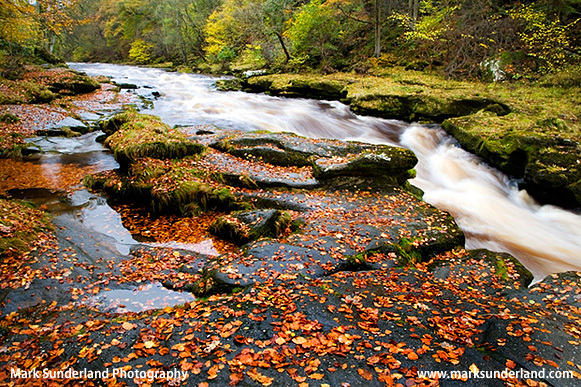 One of our favourite woodlands is of course Strid Wood at Bolton Abbey in Wharfedale, which we visit for our final workshop of the year. 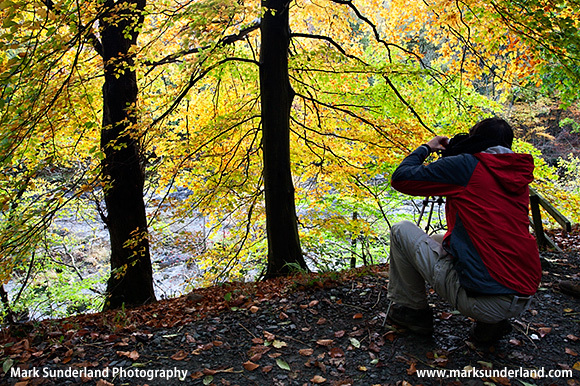 Under the trees on the paths by the River Wharfe it can be quite dark on an overcast day, so a sturdy tripod is essential – as one of our participants ably demonstrates above, photographing striking colours backlit by the soft light from the open area above the river. Don’t discount those damp and drizzly autumn days. As long as it’s not raining too heavily the woodland itself will offer some protection from the elements and there’s often a low mist hanging in the trees which can be very atmospheric. 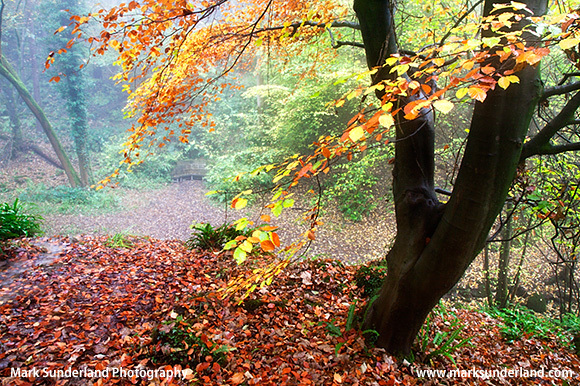 The shot at Hackfall Woods (Woodland Trust) was taken on such a day, with some very productive periods of great light between one or two sharper showers – a passing walker saw my tripod and commented how poor a day it was for photography – if only they knew! Another Yorkshire favourite is the arboretum at Thorp Perrow near Bedale which has a lovely collection of native and imported trees. Well work a look – but it can get busy in the autumn. 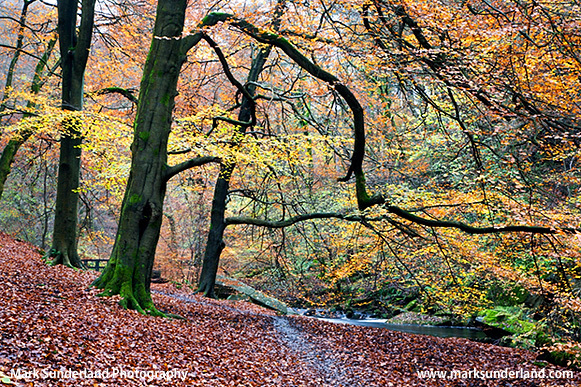 Skipton Woods (just behind the castle in Skipton) is a small woodland that I was lucky enough to photograph for the Woodland Trust last autumn. It has a wide central path which gets carpeted in leaves alongside a beck with a lovely weir to add some moving water interest and the area above the weir is great for reflections. I had never been before – a bit of an oversight, so I’ll definitely be having another look this year! We’ve got spaces available on our workshops this autumn if you’d like to join us! See our workshops page for availability.